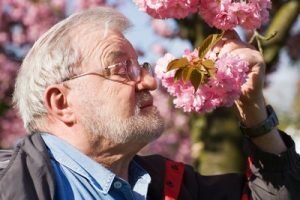 We wrote last month about the benefits of gardening for seniors. If you haven’t yet, see if your houseplants need a new pot, fresh soil, or plant food. After all, their house is the container and dirt that they’re in, and they might appreciate a little spring cleaning for their home. Sometimes the light shifts seasonally, too, with the sun sitting higher or lower in the sky. Make sure your plants are still positioned in a window or elsewhere that gets an adequate amount of light. Manage your medications. Remove anything you no longer take or that is expired from your medicine cabinet and set it aside along with expired makeup, toiletries, cosmetics, and over the counter medications. The Fort Oglethorpe Police Department at 900 City Hall Drive accepts expired medications and will properly dispose of them. This protects the environment, our water resources, and keeps prescription pills from falling into the wrong hands. Whatever is left over after you weed out the unnecessary meds can be color coded, sorted into daily pill boxes, or arranged sequentially in your medicine cabinet— whatever system helps you remember your regimen best. Sorting through your closet is a great spring activity. You’ll be wanting to put away winter outerwear anyways, along with heavier sweater and long sleeved clothes. While you’re at it, set aside any garments in need of repair and take them to a seamstress, tailor, or dry cleaner. You can also set aside anything that no longer fits or is no longer your taste. A good rule of thumb is that if you haven’t worn it in a year, it’s time for it to go to the thrift store or consignment store. Change up your furniture arrangement. Maybe you’ve noticed recently there’s a certain cord you worry about tripping on or a table that doesn’t quite fit by a chair. Maybe there isn’t a good place for old crossword puzzles to go and you’re concerned about them accumulating and getting underfoot. Whatever isn’t working in your space can quickly and easily be fine-tuned with a little help. Ask family, friends, or a neighbor to come over and make the adjustments you need to feel as comfortable and confident as possible and make it easy to enjoy your apartment to the max. Spring clean your spirit by enjoying the great outdoors. Read a book in the park, fly a kite with your grand children, take a stroll downtown. Not only is the exercise good for your body, but you’ll be amazed at how much it refreshes your mind and heart to see the flowers in bloom, the birds busy at work, and to feel those pleasant spring breezes. Fort Oglethorpe residents are lucky to have Chickamauaga Battlefield and Coolidge Park so close by. There’s so many flat spots with clear paths that make it easy to navigate nature and make the most of an easy outing.